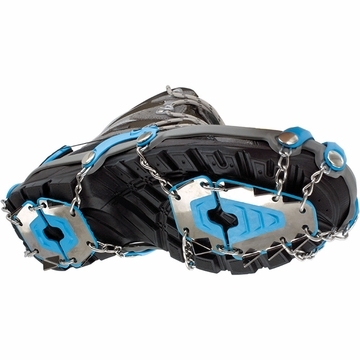 The Yaktrax Summit is a heavy-duty traction device that is essential for any winter hike or backcountry excursion. Its 3/8 inch triangular Carbon Steel Spikes bite into packed snow and ice, providing superior grip on sloped surfaces. Featuring the patented Boa Closure System, the Summit offers a superior customized fit that is both comfortable and secure.